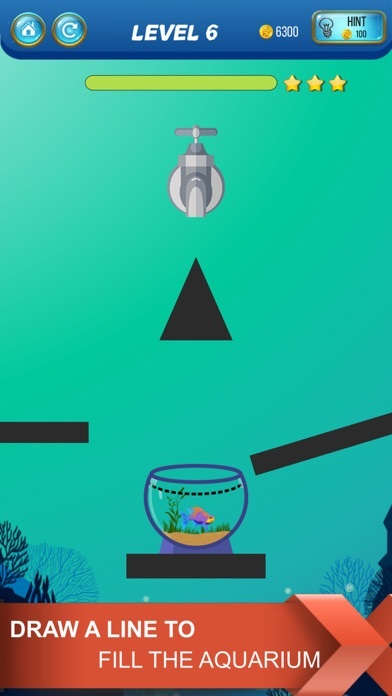 If you are a big fan of physics puzzle games,then you must try Save The Fish - Physics Puzzle Game the most addictive game of 2018. The aquarium is empty, Your job is to draw a line to make the aquarium filled up with water and save the fish! There are Many ways to complete levels, Try to find the best way to complete each level and get 3 stars.You have to think out of the box and use your creative solution to pass level.levels may look easy but it's more challenging, let's see are you able to get 3 stars or not! 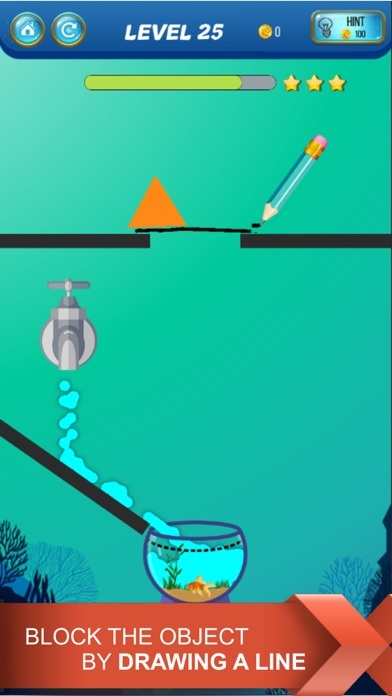 How to Play : * Start a game you will loaded with new level, you have to do is carefully draw lines and make a clear path to spill water in aquarium.you can use your own logic to solve the puzzle your goal is to fill a water in Aquarium above the Dashed line. * Draw a Physics line with finger and try to complete level with less use of ink to get more stars. 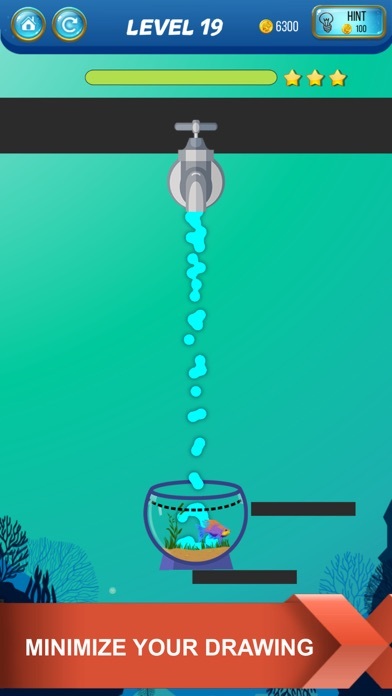 * you can click the hint button where you can check how you can fill the aquarium with water and make fish happy. 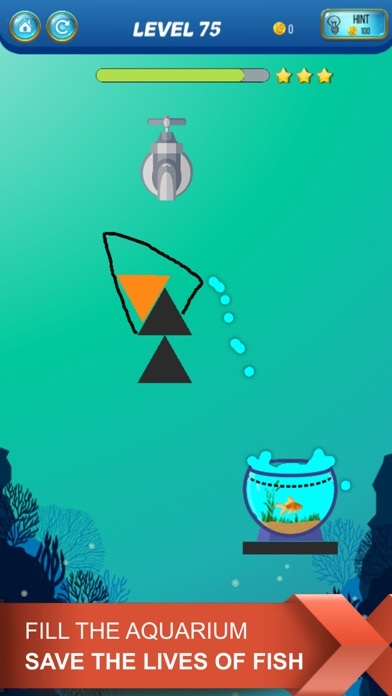 Save the Fish - draw Physics line puzzle game is very relaxing for all age groups even Kids can also play and have fun with this free puzzle game.its a most famous game of store you can also happy when you save a lives of fish.Draw Lines to Fill the aquarium and Save Fish is New Draw lines game with water and Fish aquarium Concept. Features : * freely Draw lines! * Easy,Challenging and Brain teaser fun puzzles. * Tons of Levels and More will coming soon! * Underwater Fish theme with aquarium. * Share your unique solutions and compare with your friends. 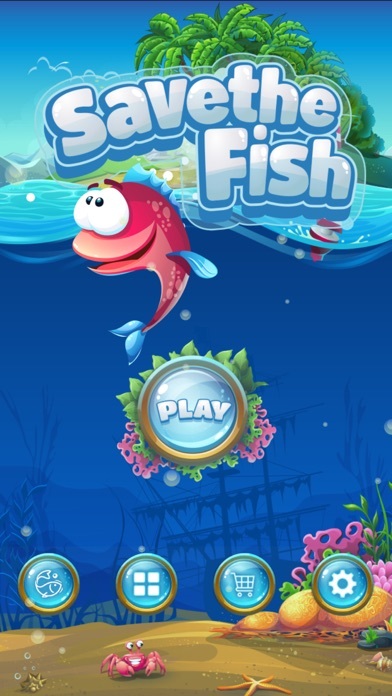 * Easy to play it anywhere even without internet * Simple, intuitive gameplay for everyone * supports both phone and tablet All the Gamers who love puzzle game must try this puzzle game game today.Save the Fish physics puzzle game is most popular among all puzzle game lovers, so why to wait download it now! If you need any help while playing, feel free to reach out to the support team at playspartangames@gmail.com.